It’s been a while since I’ve tried any new recipes. Life’s been a little crazy – work, 2 classes (and the work for that), alumni events, and trying to make the most of some un-seasonally warm weather. And what better way to cook with a busy schedule than my Crock Pot! I wanted something easy without any strange ingredients. And when I came across this pot pie recipe it sounded like the perfect February comfort meal to follow up some studying. It seemed a little bland so I tweaked a little with some poultry seasoning. Still could be better so I’ll continue to tweak. If you want to experiment, poultry seasoning is a mix of thyme, sage, marjoram, rosemary, black pepper, and nutmeg. Or maybe you have a better idea – please share! This is an easy and yummy meal and it’s going to get me through the week. Enjoy! Peel and dice the potatoes. Place frozen chicken in bottom of crock pot. Mix the potatoes, cream of chicken soup, & frozen vegetables. Season with salt, pepper, & poultry seasoning. Pour onto top of chicken in crock pot. Add chicken bullion cube. Cook on low 8-10 hours. Use a spoon to break up the chicken and mix well with veggies. Season with additional salt, pepper, & poultry seasoning as needed. Bake/make biscuits (I do 1 per serving). Place bottom half of biscuit in bowl. Cover with chicken from crock pot. Top with top half of biscuit and sprinkle of dried parsley. Categories: Wonderful Wednesday | Tags: chicken, cooking, crock pot, pot pie, recipes | Permalink. 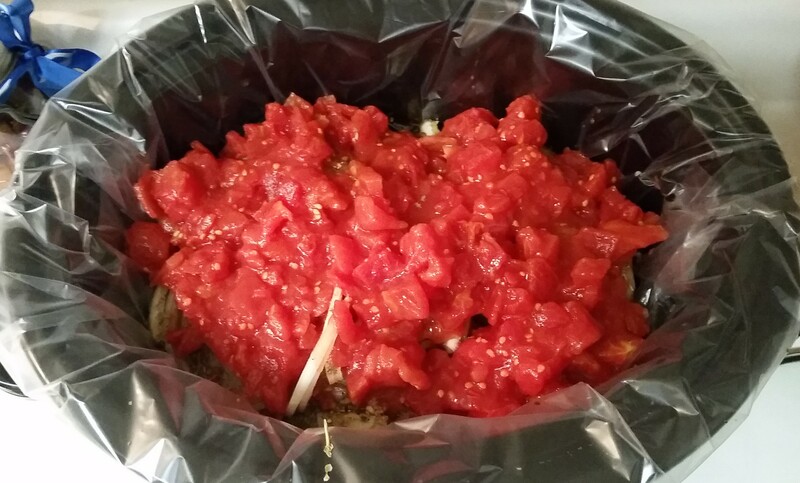 Surprise, surprise – another crock pot recipe!! 🙂 I actually made this just to have for lunch one week – my whole30 was over but I wanted to keep it clean as much as possible! This is great on it’s own….or over zoodles….or with a cold zoodle salad…..or over rice….or over pasta – get creative! Make sure you store it with some juice so it doesn’t dry out. Enjoy! Pour olive oil in slow cooker. Add chicken, salt and pepper each breast. Add onions on top of chicken. Add all dried herbs and garlic. Categories: Wonderful Wednesday | Tags: chicken, cooking, crock pot, food | Permalink. I wanted to share the recipes from my dinner party last weekend because they were all delicious. I’m definitely going to add them all to my go-tos. Here’s the main dish – I’ll share the sides later this week! I wanted a nice dinner that was easy to put together, so of course the crock pot had to be used. I adapted this recipe from All Recipes. I was a little busy to manage to take many pictures – plus crock pot pics are never that great anyway. Enjoy! Place a handful of carrots and onions in the bottom of the crock pot. Put the pot roast in the crock pot. Cover with the rest of the carrots and onions. In a medium bowl, mix together the soup, dry soup mix, and beef broth. Pour over the top of roast in the crock pot. Cook 4-6* hours on high or 8-10 hours on low. *I did 4 hours on high and it wasn’t quite cooked enough. Next time I’ll do 6 hours or cook on low. If this happens, just transfer it to an oven-safe dish with a lid (I used my corning ware) and pop in the oven at 350-400 degrees for about 30 more minutes! 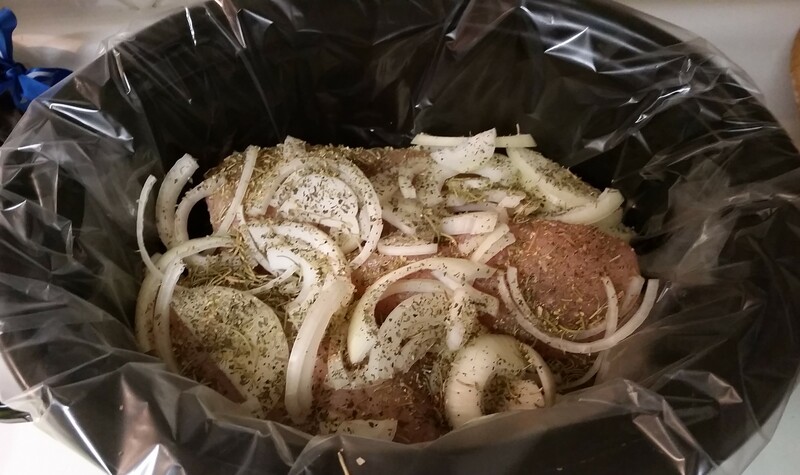 Categories: Merry Monday | Tags: beef, cooking, crock pot, food | Permalink. 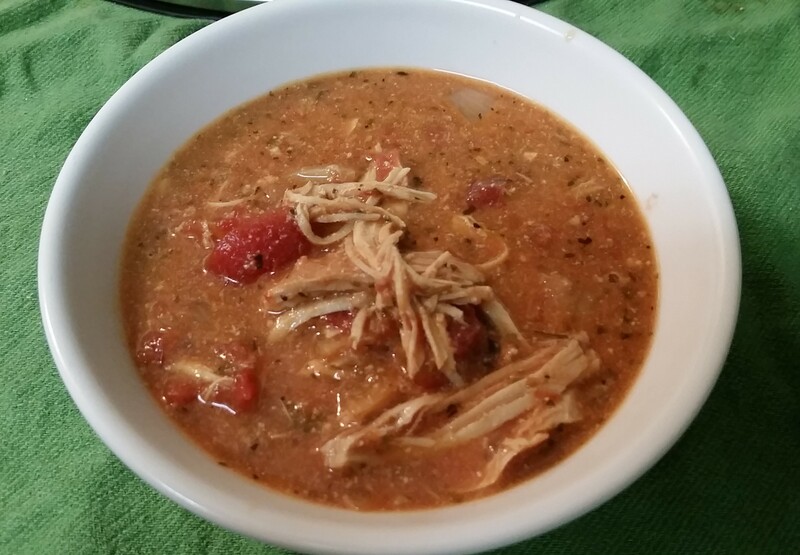 This was another easy crock pot recipe I found – but it is very similar to my taco chicken (which should have been obvious). Both are delicious, you just probably don’t want to make them in the same week like I did! Similarly, you can do many things with this chicken once it’s cooked. I served over some zoodles (sauteed and seasoned with chili powder) and with some sweet potatoes – didn’t really go together but I need the sweet potatoes as a was running a 5K the next morning. Enjoy! Juice both limes and set the rinds aside. Place chicken in bottom of crock pot. Add lime juice, chili powder, and salsa. Tie or band cilantro together. Drop cilantro and lime rinds on top of chicken. Cook on low 8-10 hours (or high for 6 hours). When chicken is tender enough, remove the lime rinds and cilantro. Shred the chicken in the pot using two forks. Stir well and add remaining seasoning. Continue to cook or simmer for about 30 minutes. Categories: Thrilling Thursday | Tags: chicken, cooking, crock pot, food, Whole30 | Permalink. As I said in my last weekly update, I’m relying on my crock pot a lot for the rest of my Whole30 – and luckily I had some friends share some recipes with me! This one was delicious but it makes a TON. My crock pot was filled to the brim and narrowly missed spilling over. So you could easily half it – unless you’re feeding an army – and still have plenty! Freezing is also a good option for this one, which I did to save for later! If you’re not doing the Whole30, this would be amazing with some shredded mozzarella and/or parmesan sprinkled on top of each serving. I did do a little prep the night before to make it quicker to dump everything in before heading out the door the next morning. Chop the onion, mix the spices, and just gather everything you need. Place chicken in bottom of crock pot and dump everything else on top. Cook on low for 8-10 hours. After cooked, stir/use two forks to break up the chicken. I think it’s easier to season each serving with salt/pepper since the crock pot . *This makes a ton. My crock pot was filled to the brim so you could easily half the recipe and still probably feed 4 people. Or make the whole recipe and freeze some! Categories: Fabulous Friday | Tags: cooking, crock pot, food, Whole30 | Permalink. I absolutely love the crock pot. And I can’t believe I’ve never posted this recipe since it is one of my go-tos. And it’s Whole30 appropriate (with one small variation). I’ve posted a reuse of this recipe since it’s good as is or to make a lot of other things – tacos, burritos, enchiladas, salad, soup – you can get creative! And since it’s a crock pot recipe it’s SO easy! This week I’m using it for lunch – chicken “tacos” (with romaine lettuce as the shell) and taco salads. Top with whatever you want! Place chicken breasts in bottom of the crock pot. Chop the green pepper and onion and put on top of the chicken. Mix the salsa and taco seasoning together and pour on top of the chicken and veggies. Cook on high 4-6 hours or low 6-8 hours. *I normally use Penzey’s original taco seasoning, but it is not Whole30 compliant, so I found a recipe for a homemade taco seasoning while doing Whole30. I went ahead and doubled the recipe and stored the leftover. Categories: Whole30, Wonderful Wednesday | Tags: cooking, crock pot, food, mexican food, Whole30 | Permalink.